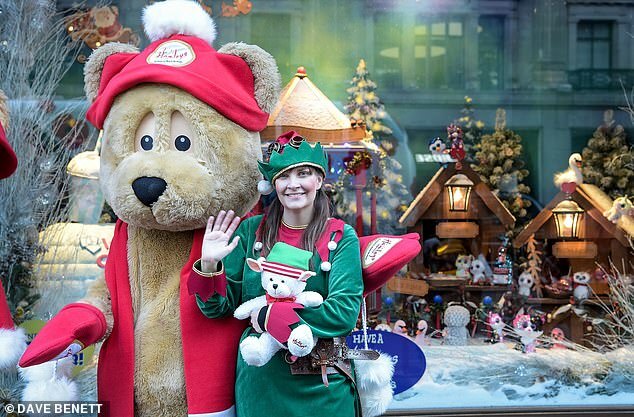 Hamleys unveiled its much-anticipated Christmas window on Friday, kicking off the season in true festive fashion. 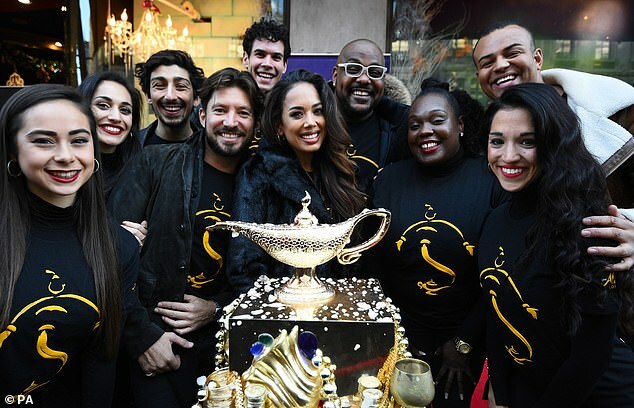 The luxury children’s toy retailer, which has been based on London’s Regent’s Street since 1881 and is known as the ‘world’s oldest toy store’, revealed its toy-themed window display complete with a performance from the cast of Aladdin. 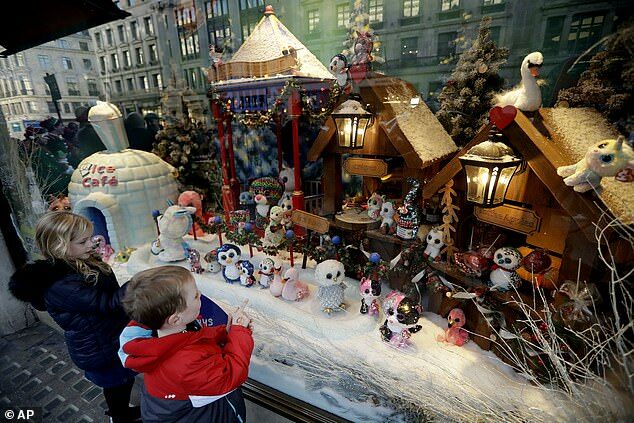 Described by the Hamleys team as ‘something to remember’, the window display features a range of London scenes including a wintry Christmas market and a festive fairground complete with five horses on a merry-go-round and a rocket ship ride. 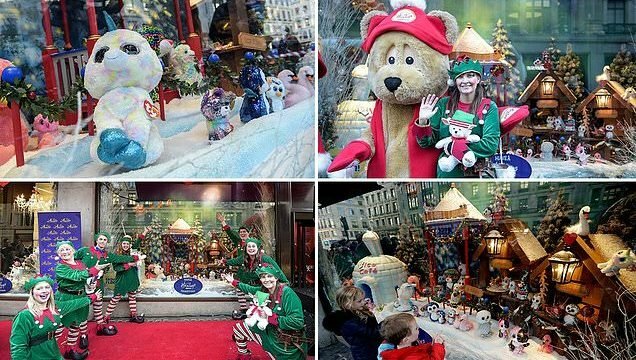 The four windows, created by Hamleys’ Visual Merchandising department and retail industry specialists, Propability, feature over 80 Ty designs of Plush Toys from Beanie Boos to Flippables. The show-stopping design has been brought to life by impressive mechanics and specialist lighting which aims to truly capture the imagination of passers-by. 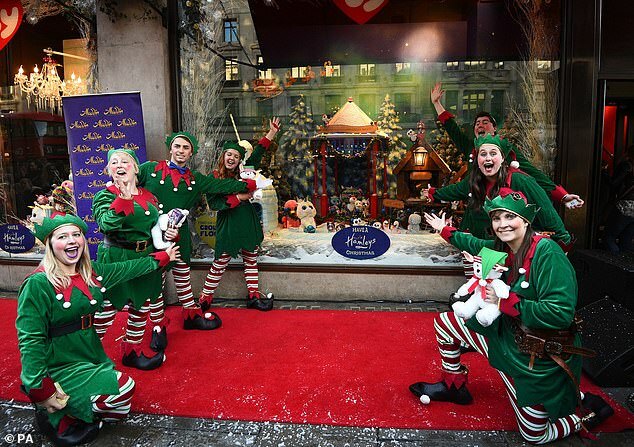 Performers from Disney’s smash hit West End musical Aladdin dazzled audiences by singing ‘A Whole New World’ and ‘Friend Like Me’, whilst also performing festive hits such as Shakin’ Steven’s ‘Merry Christmas Everyone’. Jade previously opened up about her role to The Stage, explaining: ‘Jasmine has always been a very iconic and memorable Disney princess. ‘I admire her strength, integrity and independent attitude towards life and always thought that she was an amazing role model for young girls. ‘It was massively inspirational to see a Disney princess who looked like me growing up. I love that other little girls of all different ethnic backgrounds can come to the show and be inspired in the same way. Aladdin is now playing its third year at the Prince Edward Theatre and is booking until Friday 30th August 2019. Mark Swallow, Chairman, Ty UK, added: ‘In four different scenes you will be transported to a new land of fun in everyone’. 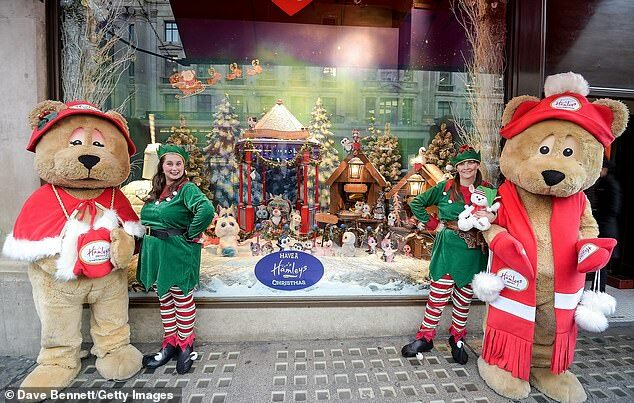 This comes after Hamelys revealed that ‘imperfect toys’ would be leading the Christmas trend this season. 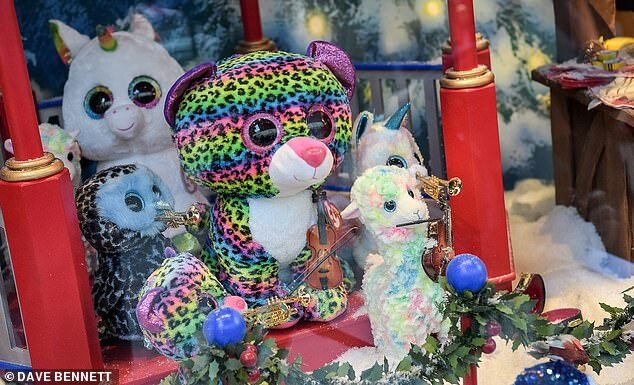 A robot bumping into things and a quirky creature with pointy ears are expected to be among the top children’s gifts this Christmas, according to the world´s oldest toy store, which expects an ‘imperfectionism’ trend to drive sales. 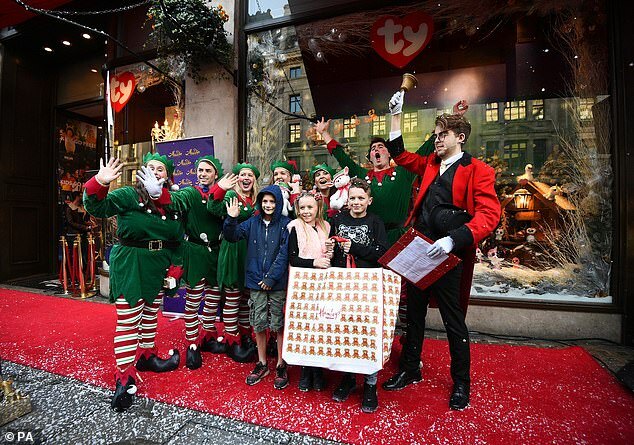 The London toy shop, which was founded in 1760, unveiled its ’12 toys of Christmas’ list recently, which included pointy-eared ‘Crate Creatures’, the ‘Boxer Robot’ which is described as ‘needy and fallible’ as well as a cheater’s version of the popular board game Monopoly. 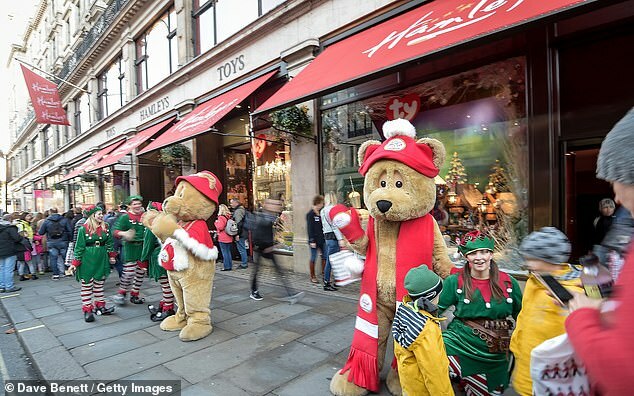 ‘We have cute and cuddly toys but there’s definitely this whole world of ‘sometimes life isn’t quite so perfect’ and actually it’s quite nice to see some of these toys that are slightly different,’ Victoria Kay, head buyer at Hamleys, told Reuters. Dolls, cuddly toys including a Paddington Bear and a Lego Hogwarts Express train from the ‘Harry Potter’ book and film series are also on the list. Previous Post:Full House: Where Are the Stars Now?